What I like about Zelph stoves is they are lightweight. Small in size which for me makes it easy to pack & carry. The stoves I’m highlighting here – you don’t need a pot stand. There’s not much on them to break. For example; if you’re in the field carrying the fancee feast there’s no moving parts to fiddle with. Simply pour in fuel, light the stove & heat your meal/ boil water. The StarLyte weighs in at 16.4 grams. That is the combined weight of the burner and pot stand. 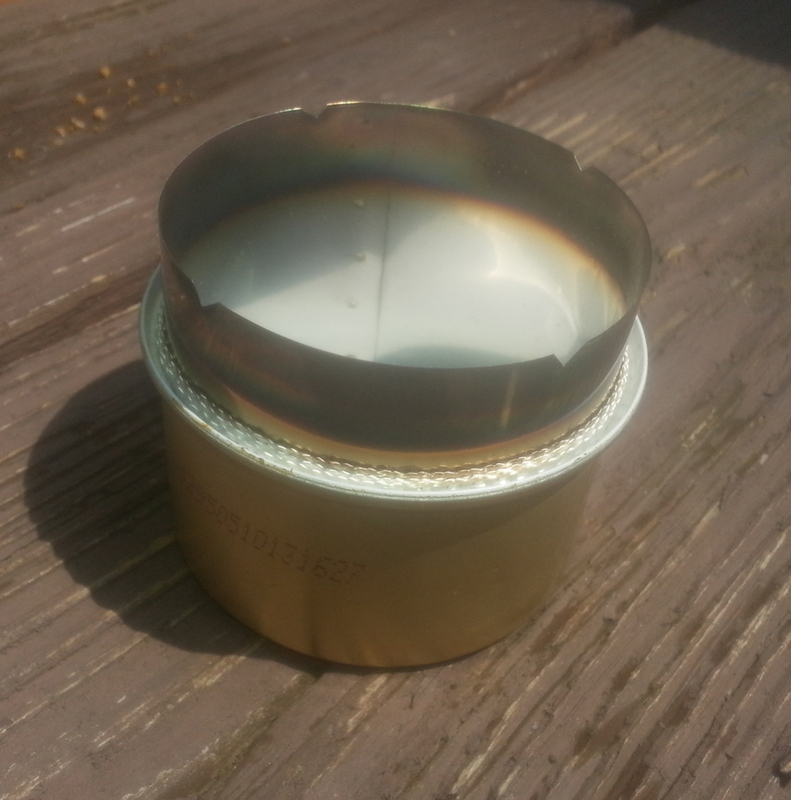 Burner is made of aluminum and has an integrated stainless steel pot support. Boils 2 cups of 69 degree water in 6 1/2 min. Used 1/2 ounce of denatured alcohol to boil 2 cups of water. (always use windscreen for best fuel efficiency) results may vary according to conditions and pot used. This is one of the most popular cat food can stoves! Over the years Zelph has tweaked this to be one of the most efficient & easiest alcohol stoves of it’s style IMO. 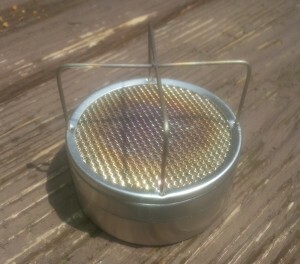 This stove is great for those new to using alcohol stoves or for the veteran gear junkies – its the goto stove for many. Boils 12 cups of water in 29 min Rolling Boil, steam pumping the lid up, using 3 ounces of denatured. Continued to boil an additional 5 min. The stove burns at a steady rate, no indication of fuel heating up and burning at a faster rate. Stove accommodates the Heineken / Foster beer can pots nicely and works great with the bigger 12 cup capacity pots.